SAN DIEGO – June 29, 2018 – This week, Father Joe’s Villages received a generous $2.4 million donation to continue the legacy of First Lutheran Development Corporation, and its inspiring work of over half a century. This gift will ensure that hundreds of men, women and children each year can continue working to overcome homelessness at Father Joe’s Villages’ Family Living Center. 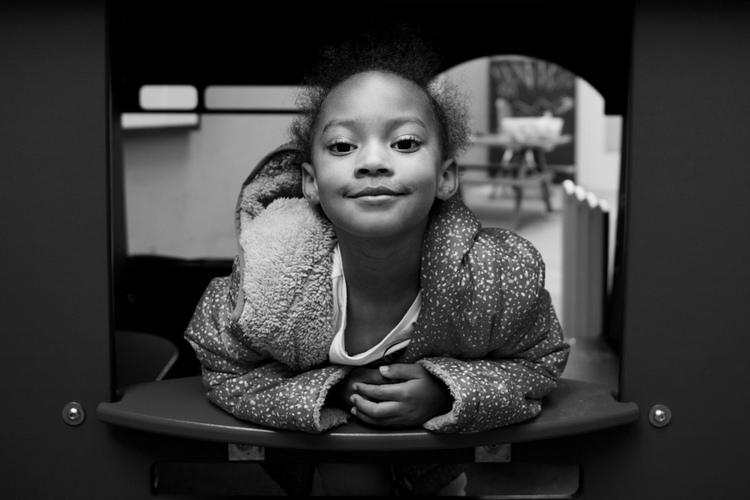 This vital program has been providing a safe haven for children and their parents since 1987. This local support replaces critical funding from the Department of Housing and Urban Development (HUD), as the national agency continues to move its focus to permanent housing. This gift funds about 40 percent of the program’s budget over the course of three years. At the Family Living Center, Father Joe’s Villages staff provide structure and individualized guidance for an average of 100 parents to work toward stability and permanent housing for their families. The program provides safe, secure housing, meals and comprehensive support so that families can get back on their feet. Reports consistently show that the program exceeded its targets with 70 percent of parents and children who exit this program each year entering permanent housing without any further rental assistance. For over two decades, HUD has provided a portion of the Family Living Center’s funding for operations. As the federal agency continues to adjust its funding priorities toward permanent housing, Father Joe’s Villages says local support is critical to providing the full spectrum of housing and services – short-term shelter, permanent housing and supportive services – needed to end San Diego’s homelessness and housing crisis. Deacon Jim says that especially in light of San Diego’s current housing shortage, short-term housing like the Family Living Center is often a necessary incremental step toward stability for individuals and families working to re-establish themselves and find permanent housing. Father Joe’s Villages sees that with a full range of support – including short-term housing, permanent housing and supportive services – families experiencing homelessness can transform their lives. In addition to housing programs like the Family Living Center, Father Joe’s Villages will bring 2,000 new units of much-needed affordable housing to San Diego by breathing new life into unused lots and overlooked buildings with its new initiative, Turning the Key. As a nonprofit organization, Father Joe’s Villages continues to rely on all types of community support. To find ways to get involved and to donate to help end homelessness in San Diego, visit neighbor.org or call 1-800-HOMELESS to help ensure that all the people of San Diego shine. As San Diego’s largest homeless services provider, Father Joe’s Villages sees that each person can rediscover hope and transform their lives. To address the complex needs of people who are homeless, the organization provides housing for more than 2,000 each night, along with healthcare, addiction treatment, education, job training and therapeutic childcare. This mission is made possible only through the efforts of compassionate staff, dedicated volunteers, and generous public and private donors. To view Father Joe’s Villages short film representing the journey to overcome homelessness, “Shine,” click here. For more information, please visit https://www.neighbor.org/.